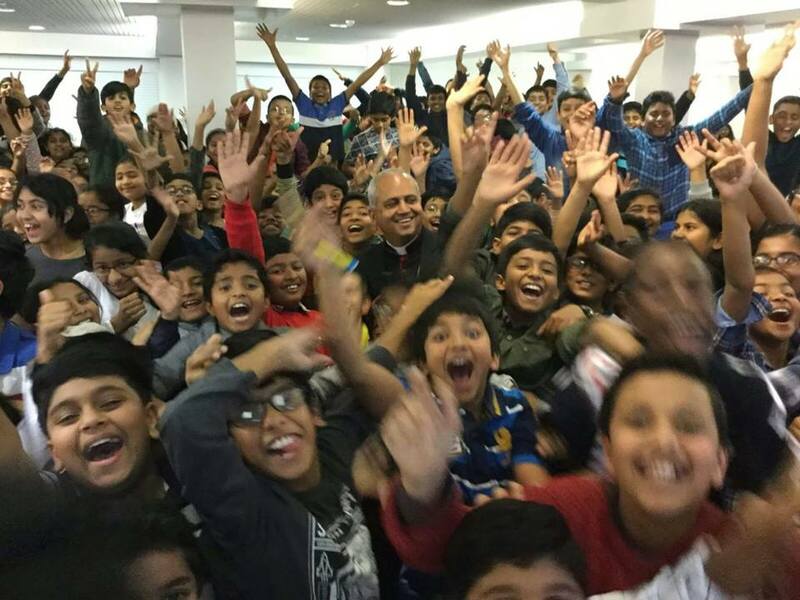 Welcome this week’s post of the Bishop’s Blog! 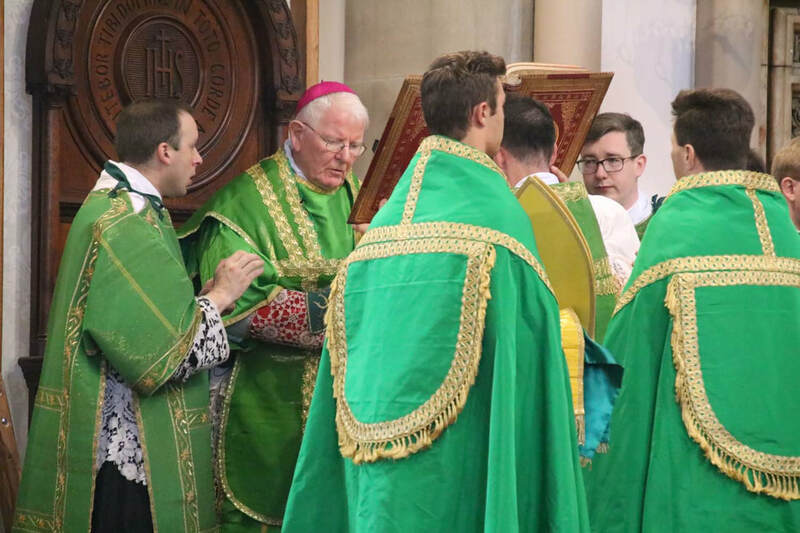 It was a heart-lifting experience last Sunday morning to see the beautiful Preston church of Saint Thomas of Canterbury and the English Martyrs filled to capacity, when a Pontifical Mass was celebrated in the extraordinary form to mark a new chapter in the particular history of this church. 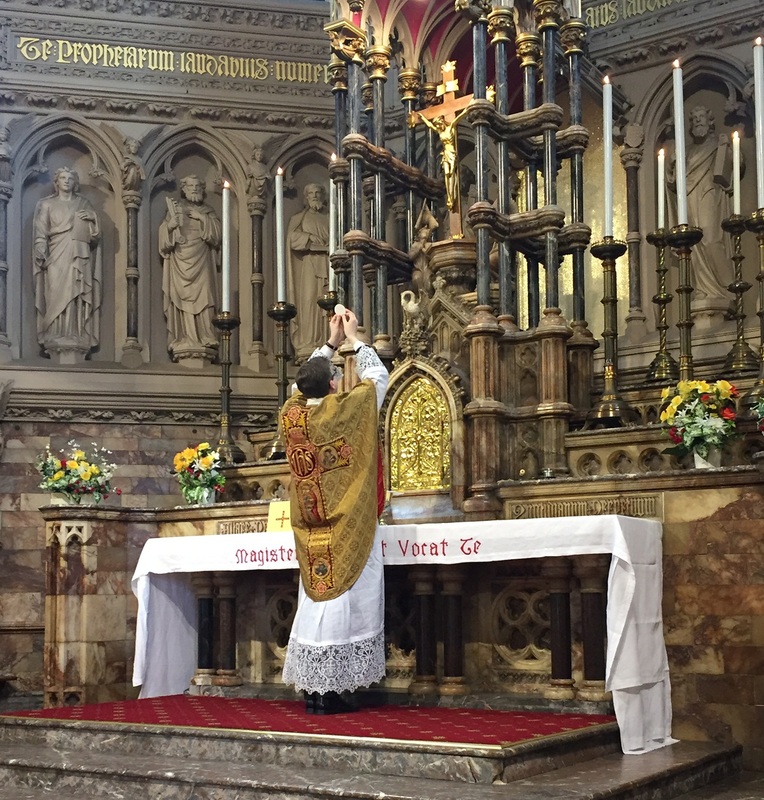 It seemed to me as if this venerable place of worship was once more breathing fully in both lungs, and through its splendid liturgy praise and worship were offered to Almighty God. While Sunday Mass in the ordinary form will continue to be celebrated weekly for now, the Institute of Christ the King Sovereign Priest will now take care of this lovely church and ensure that there is Mass each day in the extraordinary form, that the sacraments will be administered, and a regular pattern of prayer and devotional life be available to all who come to English Martyrs, and for which it was built. 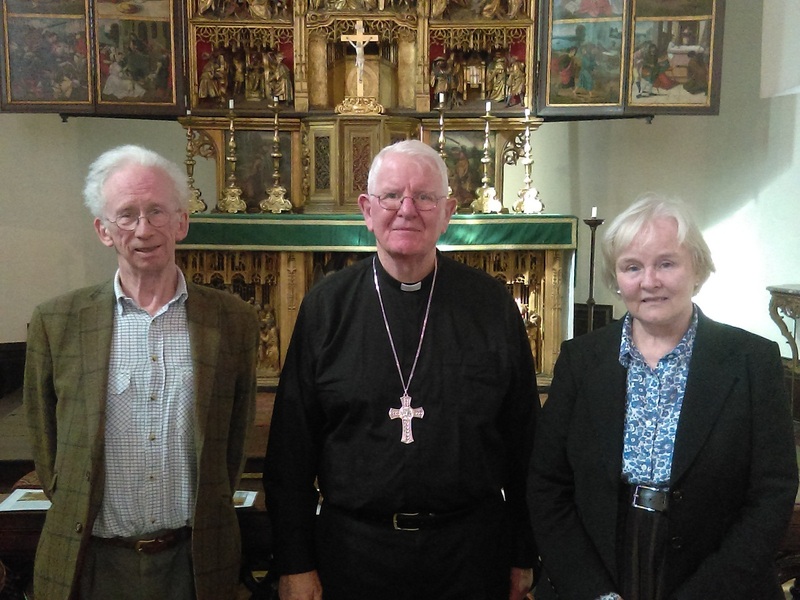 We give thanks to God for the hope generated for the future, and for the consolation and inspiration given to us by those wonderful liturgical moments that we were privileged to be part of last weekend in St. Thomas of Canterbury and the English Martyrs church, Preston. To God be the glory! 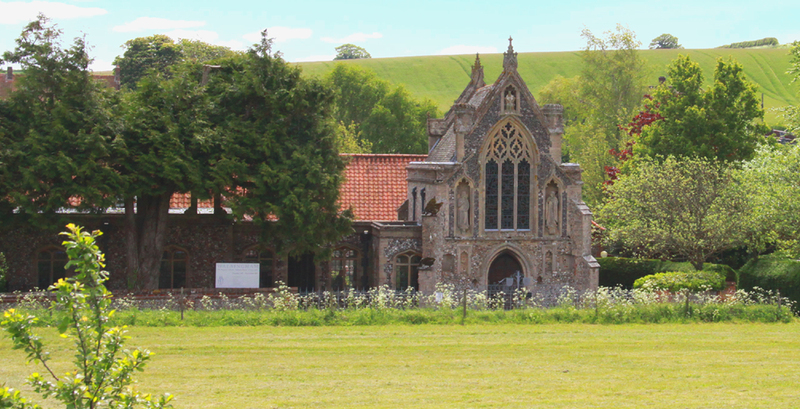 The National Shrine of Our Lady of Walsingham, the village itself, and the rural Norfolk surroundings offer much peace and tranquility to the pilgrims who make the journey there. 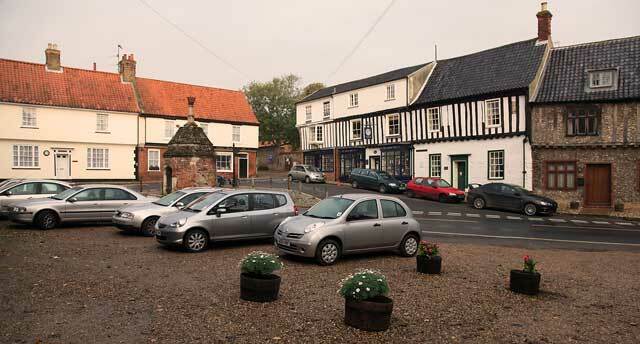 I spent the last five days in Walsingham with thirty-four others from the Diocese of Lancaster, and all were unanimous how enriched we felt as a consequence. Only the small Slipper Chapel remains of this ancient Catholic shrine, but the hallowed atmosphere of the site is suggestive of the presence of Our Lady and of the prayers recited there by countless generations of devout pilgrims, coming here since the eleventh century. Since the official pilgrim season was almost at an end, our little group had the shrine more or less to ourselves. We had Mass each day and walked the pilgrim mile, reciting the rosary. Apart from the last day, the weather was kind and we enjoyed pleasant autumn days. We were encouraged and uplifted by one another’s company, always aware that that we were in a special place. 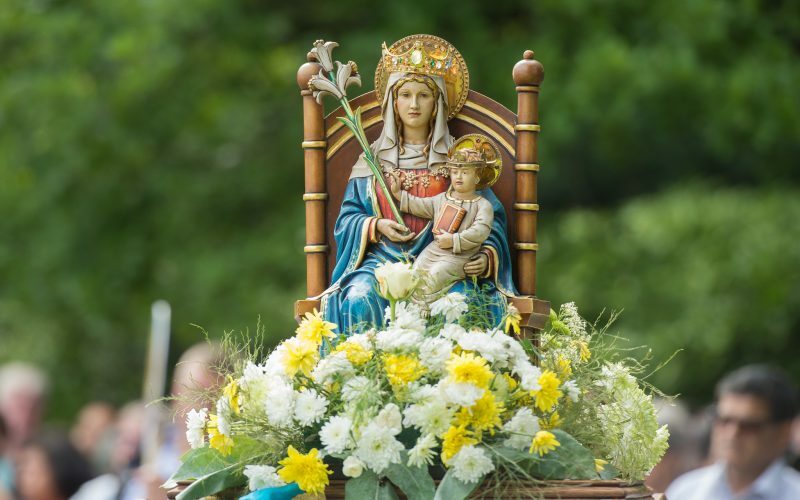 Walsingham offers a precious space away from the noise and bustle of modern life, a place where we can get in touch with the deeper rhythms within ourselves, and commune quietly with Our Lady and her Blessed Son. 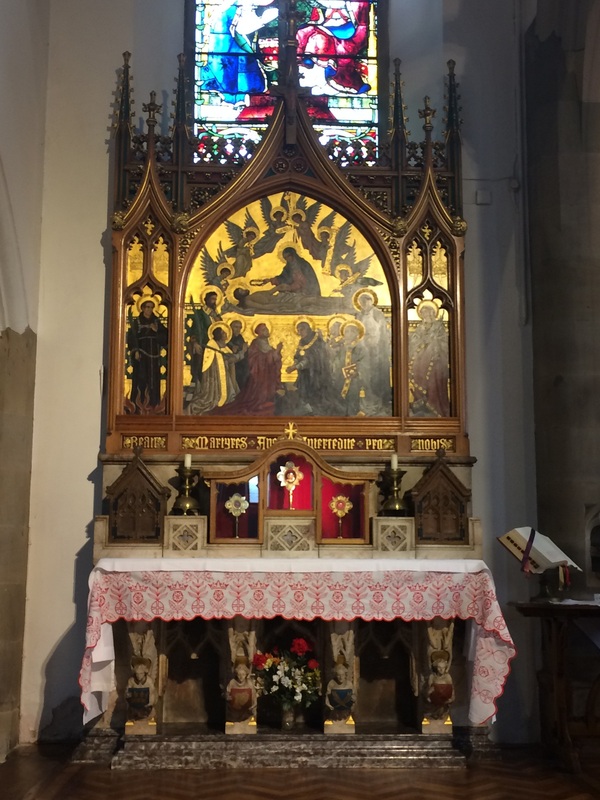 We had many intentions, including those of the Diocese of Lancaster, so all were remembered and placed confidently into the hands of Our Lady of Walsingham. 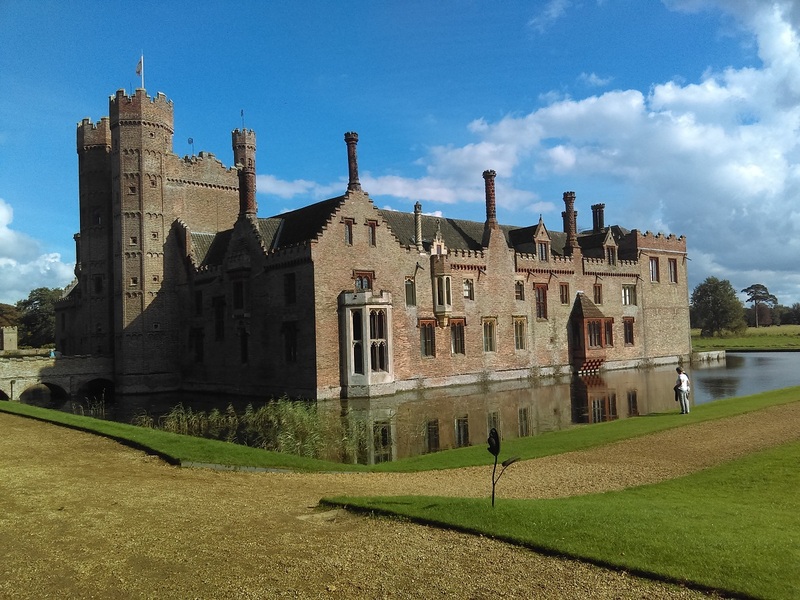 During this short pilgrimage we had a memorable visit to Oxburgh Hall, a forty minute drive from Walsingham, the seat of the Catholic Bedingfeld family since the thirteenth century. 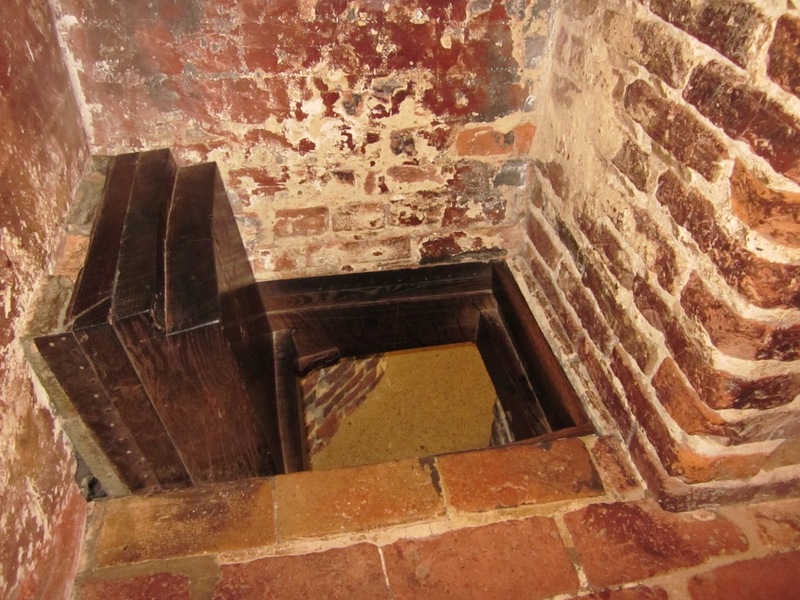 A notable feature of this striking, moat-surrounded, building was the presence of a priest’s hiding hole (said to have been built by St Nicholas Owen) where priests would take cover as they went about ministering in time of persecution, at risk to their lives. The present heir, Sir Henry Bedingfeld, with his wife, Lady Mary, welcomed us warmly and spoke of the family’s long history and loyal adherence to the Catholic faith, in good times and bad. 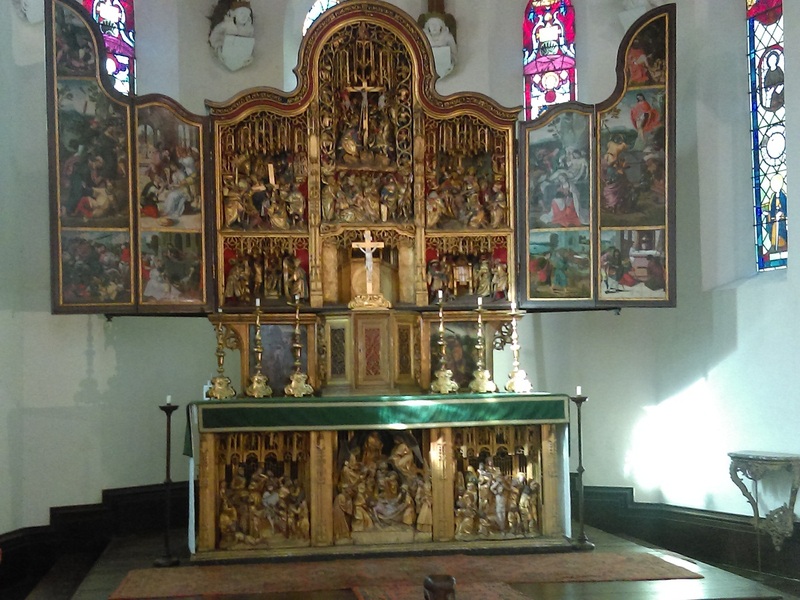 We had the privilege of having Mass in their chapel on the estate, at a fifteenth century richly adorned Belgian altar. We came away from Oxburgh Hall made just a little more conscious of the debt we present day Catholics owe to families like the Bedingfelds who steadfastly refused to abandon their Catholic heritage. 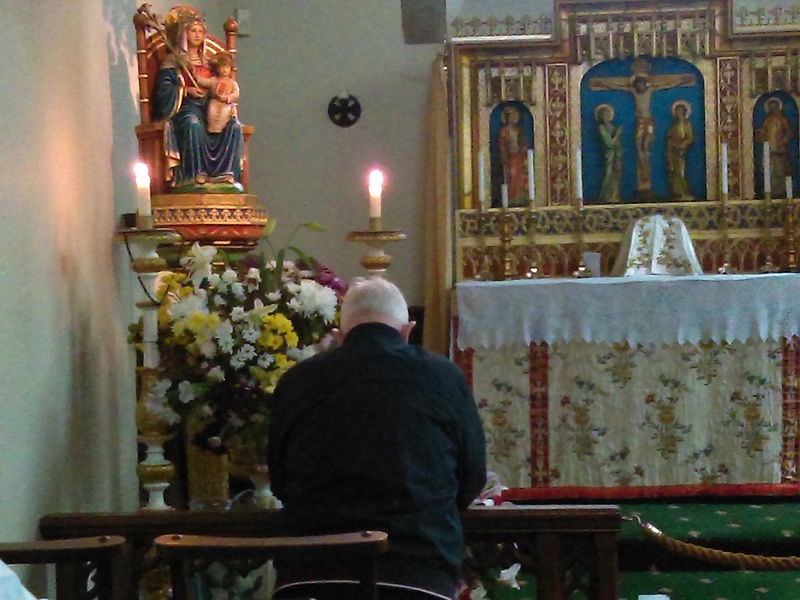 We left Walsingham feeling much the better for having been at Our Lady’s shrine, with many of our pilgrims determined to make the long journey again next year! 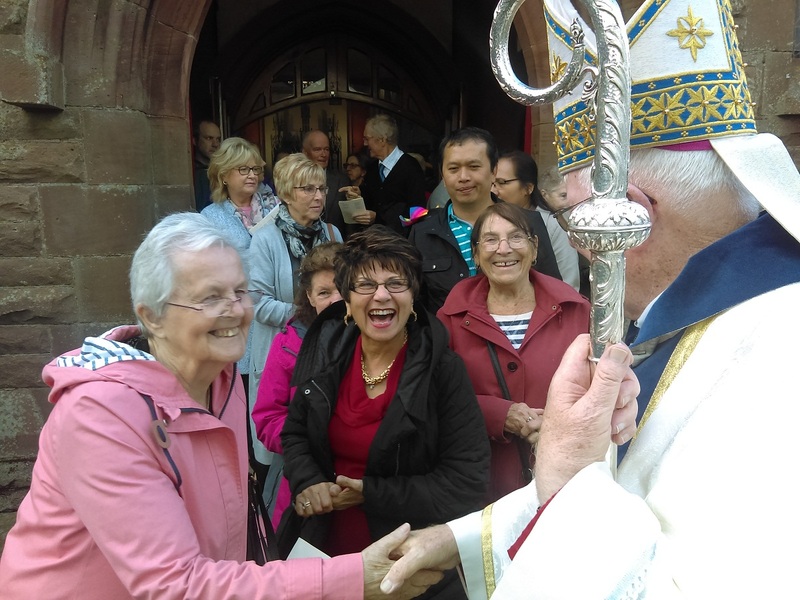 Greetings and prayers, as I post this week’s Bishop’s Blog – reflecting upon a major development in the life and history of the Catholic Church in Preston. I reflect upon this today because working to build up the Church in Preston and to secure its future, under God, has been a key part of my ministry as Bishop of Lancaster. 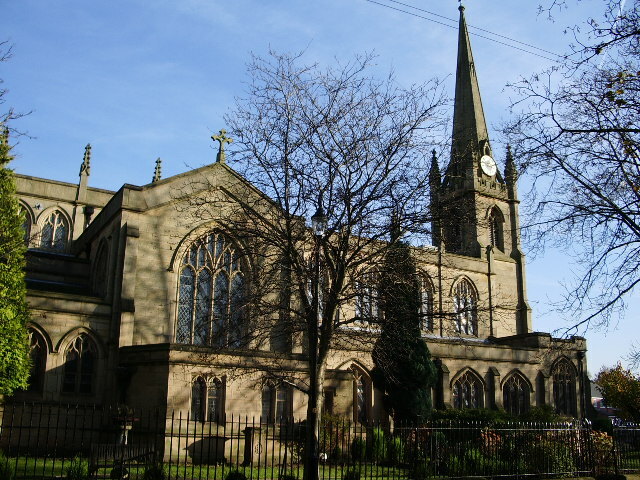 The city of Preston has long been blessed with a number of fine Catholic churches, remarkable for their size, external architectural design and attractive interiors. 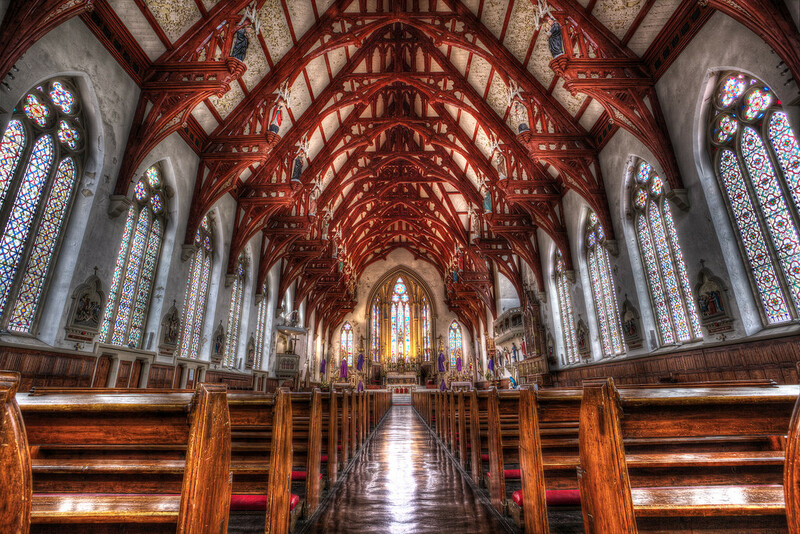 These architectural gems, such as Saint Walburge’s, St. Ignatius (now the Syro-Malabar Cathedral of St. Alphonsa), and Saint Thomas of Canterbury & English Martyrs, are symbolic of an era of huge numbers of local Catholics at Mass – which has now sadly passed. 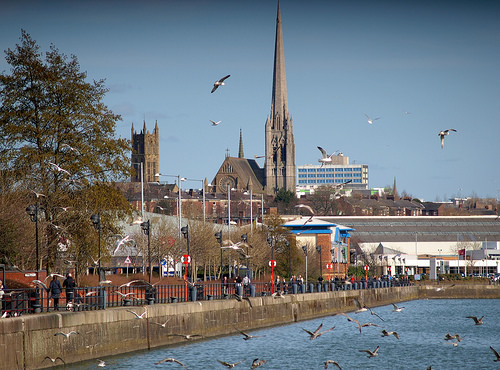 In common with many northern cities and towns, Preston has witnessed both considerable demographic decline and urban redevelopment which necessarily has had its impact on the size and age-profile of the Catholic community in the city. 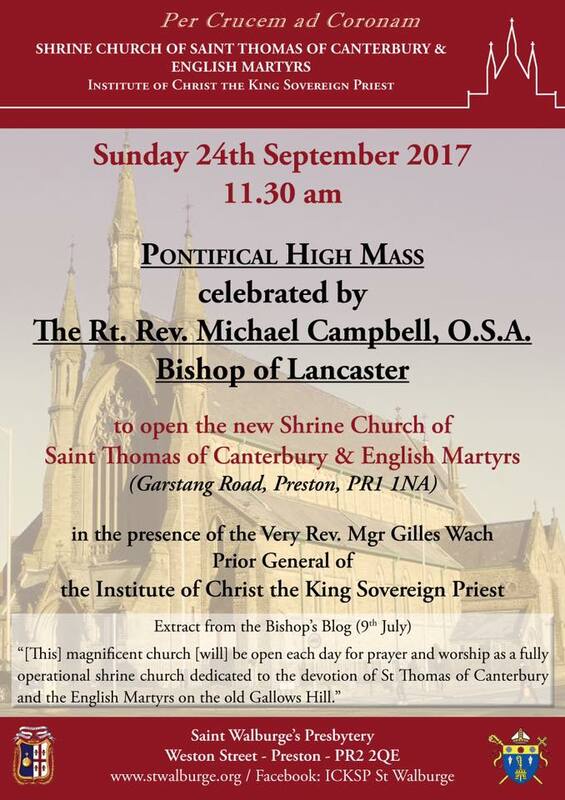 Consequently, The Diocese of Lancaster has been confronted with the major challenge of what to do with these large listed churches. Thankfully, we have not been paralysed by this situation. 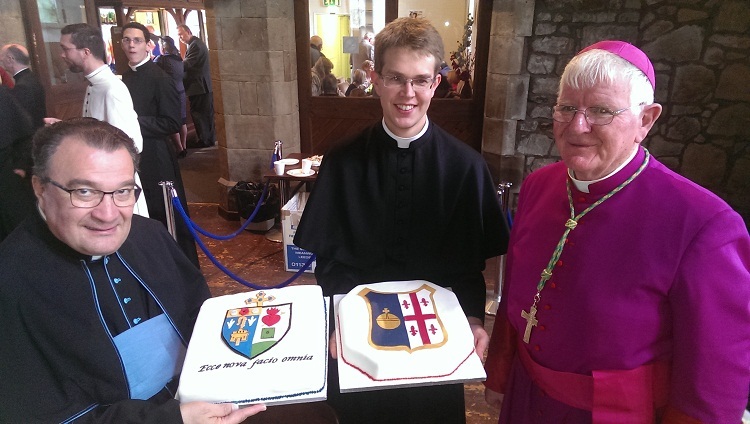 We have sought looked beyond the borders of the Diocese – towards the help of others. Indeed, the Institute of Christ the King Sovereign Priest (three years ago this weekend) took responsibility, at my my invitation, for the splendid grade one listed St. Walburge’s church. It is a source of great delight to know that the Institute are steadily rejuvenating the St Walburge’s site – spiritually and materially. 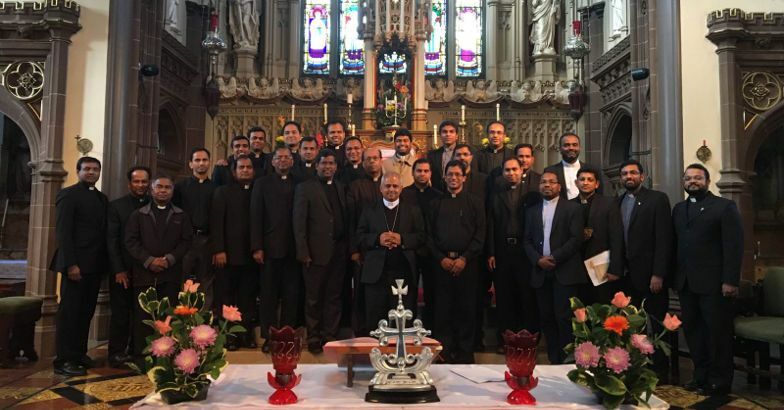 Meanwhile, the Major Archbishop of the Syro-Malabar Catholic Church Mar George Cardinal Alencherry accepted the offer of St. Ignatius’ church which, with the blessing of the Holy See, became, just over a year ago, the Cathedral for the new Syro-Malabar Eparchy of Great Britain. We are truly delighted that St Ignatius has become the Mother Church for the new Eparchy and that this young diocese has such a beautiful Cathedral church in its care. 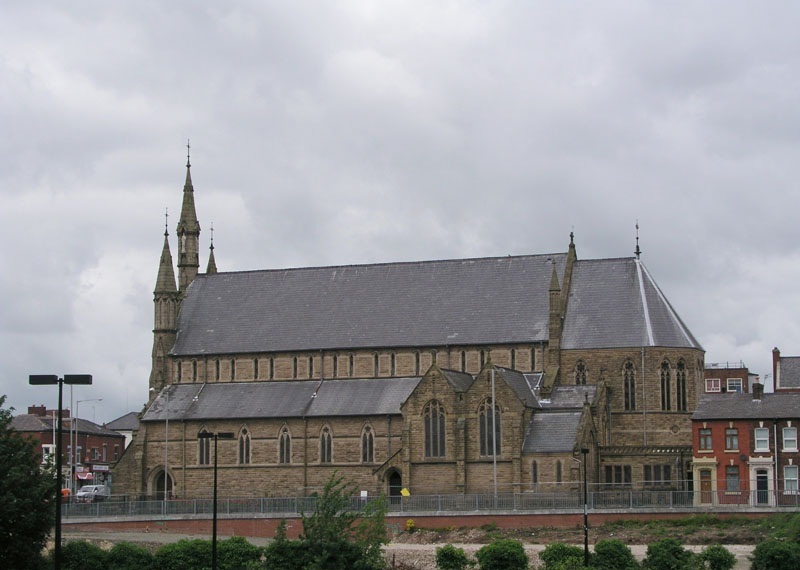 Repair works now progress on St Alphonsa Cathedral, Preston and presbytery at quite a pace. The lovely church on Garstang Road, affectionately known as ‘the Martyrs’, has likewise witnessed both a dwindling Mass attendance and a sharp deterioration in its maintenance. Although the cost of maintaining such a historic building is not cheap, as Bishop I could not countenance its closure because of its sign value to Catholic Preston. A fresh chapter therefore in the history of English Martyrs begins this Sunday with the celebration of a Pontifical High Mass (to be filmed by Sancta Familia Media), as previously announced, the Institute of Christ the King Sovereign Priest have generously accepted my offer to assume the care of the church, so ensuring that Mass, sacraments, devotions and prayers take place in the church each day. I place on record my sincere thanks to each and everyone involved in a huge clean-up operation at ‘the Martyrs’ – church, sacristies and grounds these last few months in readiness for the transfer to the Institute. I am mindful, too, of the substantial repair works going on there over the summer period – all due the momentum of the transfer! All my thanks go to the Prior General of the Institute, Monsignor Wach for accepting my request and to all those in the Diocese and within the Institute who worked hard to make this arrangement happen. 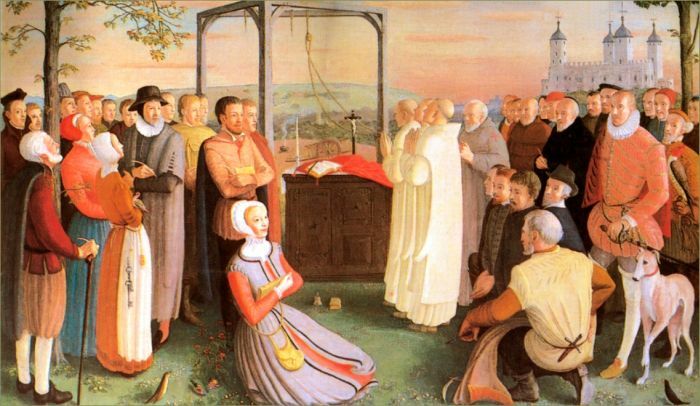 The church will now be established as a Shrine Church to the promotion of devotion to the English Martyrs and their powerful witness to the Church today. 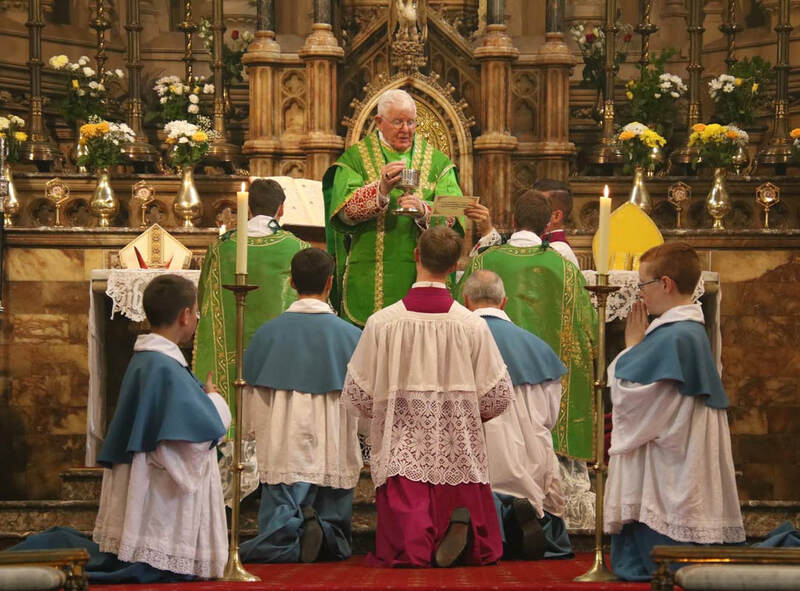 Mass and liturgies will be mainly celebrated both in the extraordinary form, an integral part of Church life today, but a Mass will be celebrated ordinary form on a Saturday evening – at least for the time being. 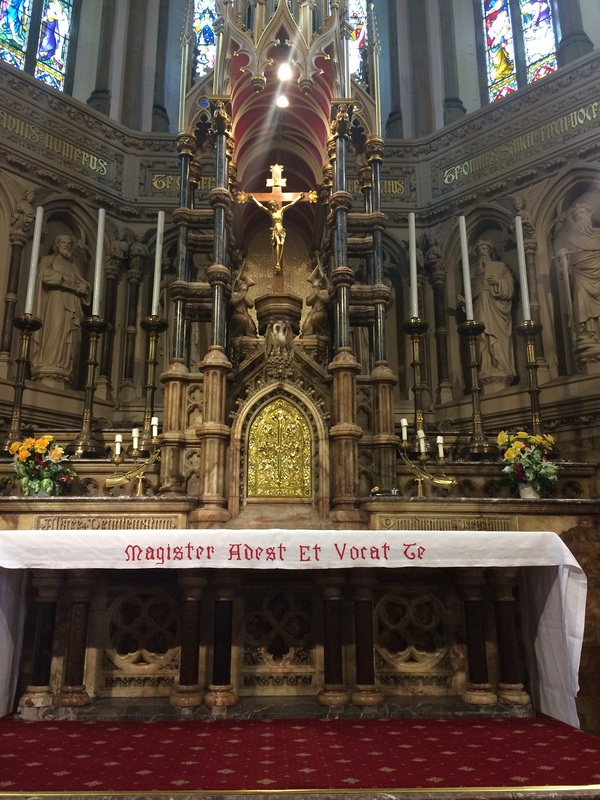 This church with its handsome and inspiring interior will now be open every day, allowing time for daily Mass, prayer and devotional visits to the Blessed Sacrament, Confessions and other pious practices. 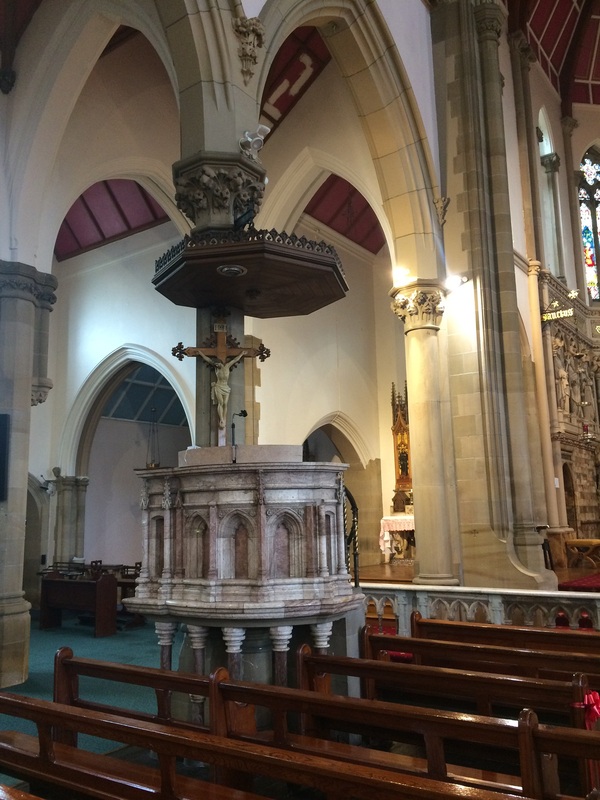 The significance of such a church situated on a main (Garstang) road and being open for visits can hardly be exaggerated in our often frantic and hurried world of today. The need for silence and an opportunity to encounter the living God in his house of prayer is greater than ever. My hope is that this new Shrine Church of English Martyrs will help meet that need. 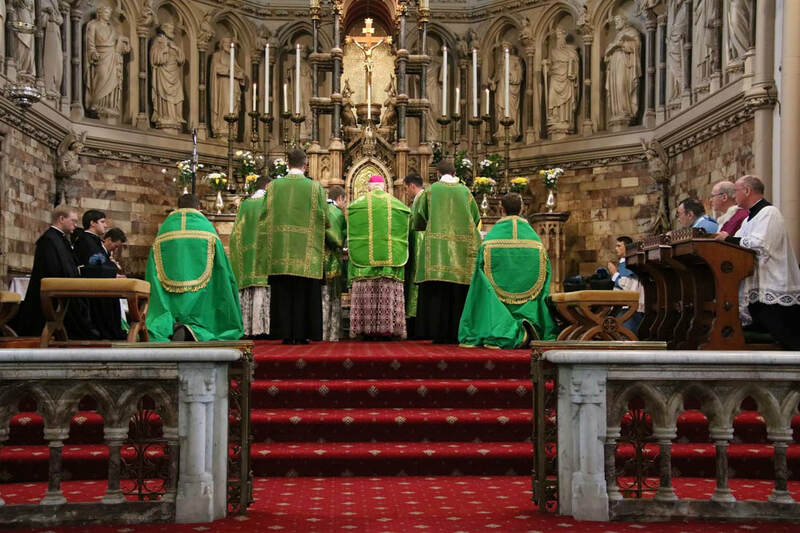 The Catholics of the city of Preston have a rich legacy of architecturally beautiful churches, lovingly constructed to the glory of God and paid for by previous generations. By preserving and nurturing this precious heritage we are honouring the memory and intentions of those believers who have preceded us in the faith. With God’s blessing we are also ensuring, for example, that the church of “the Martyrs” will remain open and welcoming to those future generations of Catholics who will follow us. My sincere prayer this special weekend is that God who has begun this good work may in his graciousness bring it to completion! 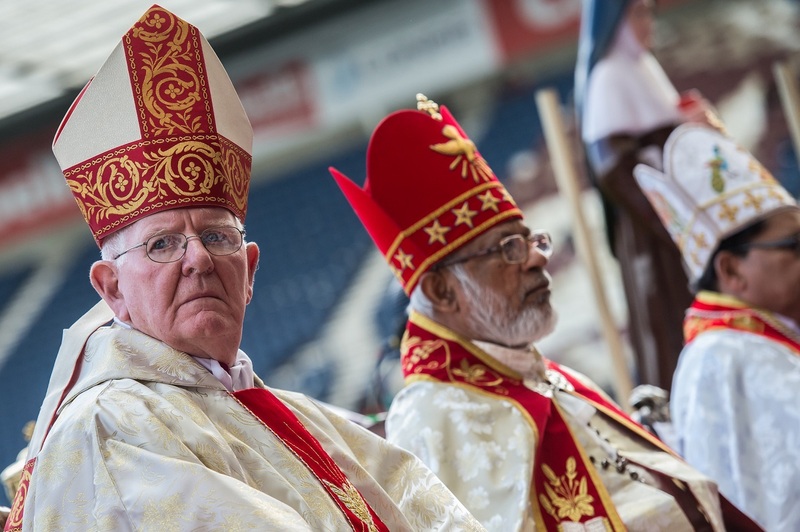 May Cardinal Cormac rest in peace! 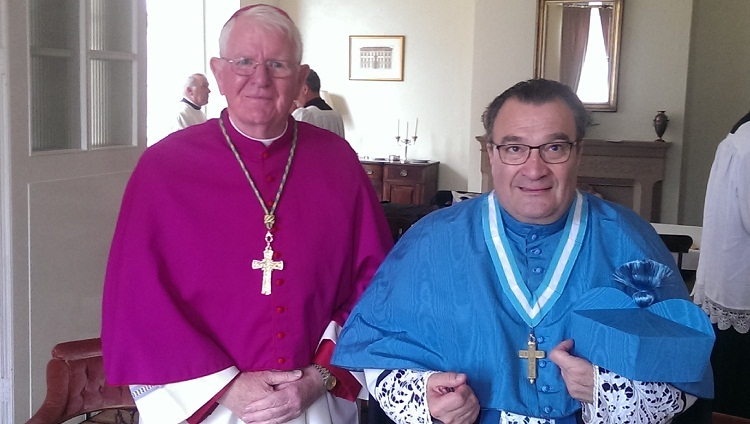 Welcome back to the Bishop’s Blog – after the summer! 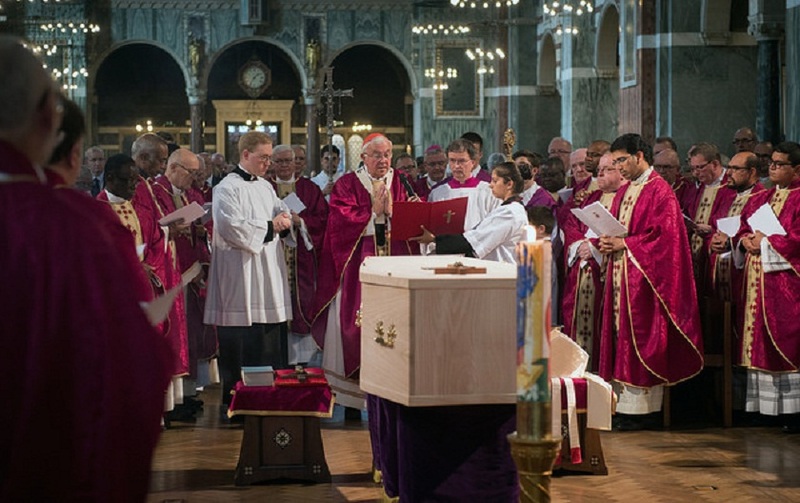 On Wednesday the Catholic Church in England & Wales bade a final and indeed fond farewell to Cardinal Cormac Murphy-O’Connor at a requiem Mass followed by his burial in Westminster Cathedral. I was pleased to be present to represent the Diocese of Lancaster. The Cardinal’s health had been failing in recent months and he died peacefully in a London hospital. 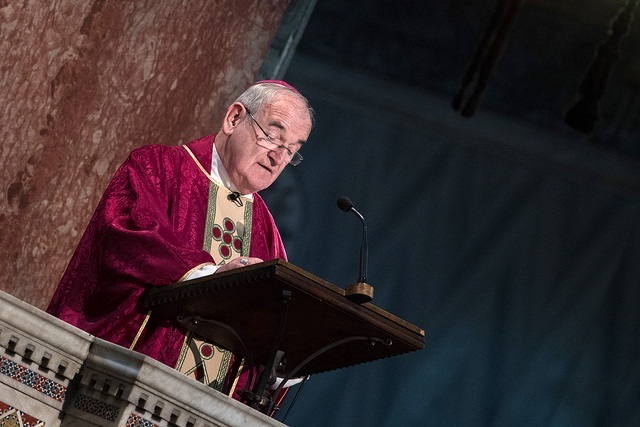 During his final illness Cardinal Murphy-O’Connor had a message sent from his hospital bed to his brother Bishops as well as to the priests of Westminster diocese. He assured everyone that he was at peace and that death held no fear for him. His message was a remarkable testimony to a deeply Christian soul approaching its end. 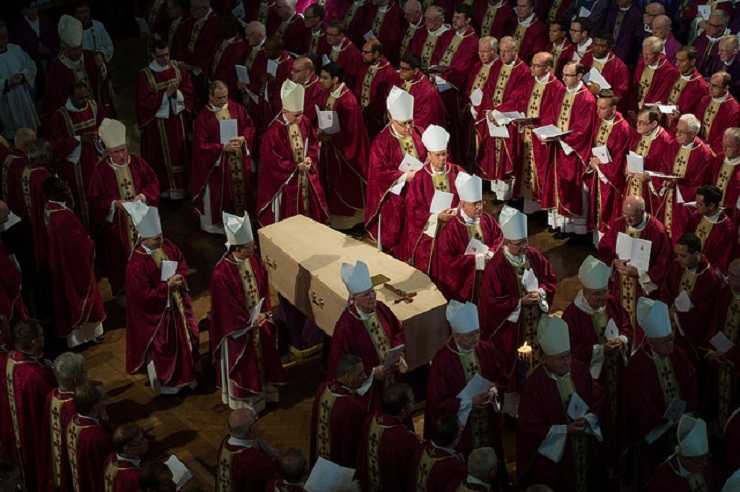 The liturgy of the Cardinal’s funeral Mass, presided over by Cardinal Nichols, was solemn and dignified but permeated with faith and the unshakeable hope afforded to us by Christ’s resurrection. 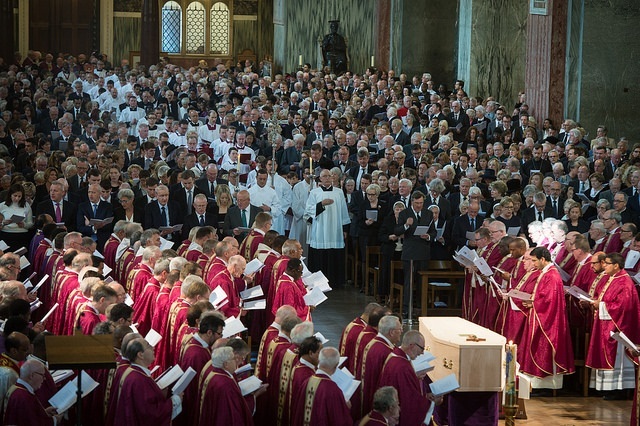 The music of the Mass, both Latin and English, somehow soothed and eased the sense of loss which we all felt. 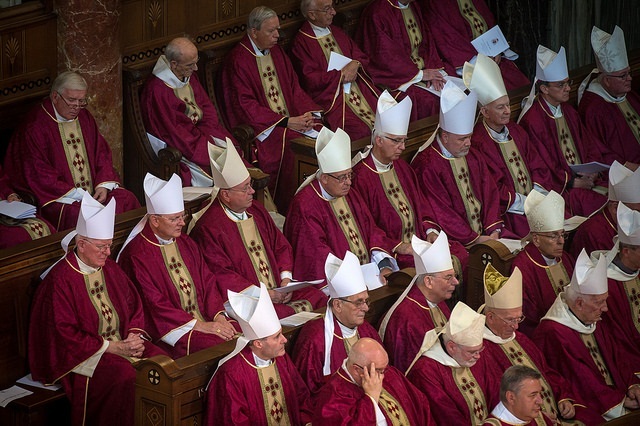 The many bishops, and large number of priests, who concelebrated the Mass was an indication of the affection in which Cardinal Cormac was held, and the numerous lives he touched. 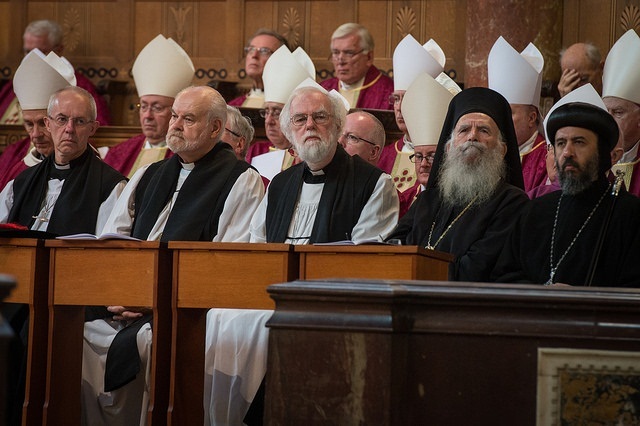 The huge attendance of laity, ecumenical guests and his extended family, were further evidence of just how much so many people appreciated and felt close to him. I was privileged to know the Cardinal well and was always struck by his cheerful outlook and warmth of friendship, characteristics highlighted in the excellent homily delivered by Archbishop George Stack. St Thomas Aquinas taught that grace builds on nature and this was patently true of the life of Cardinal Murphy-O’Connor. 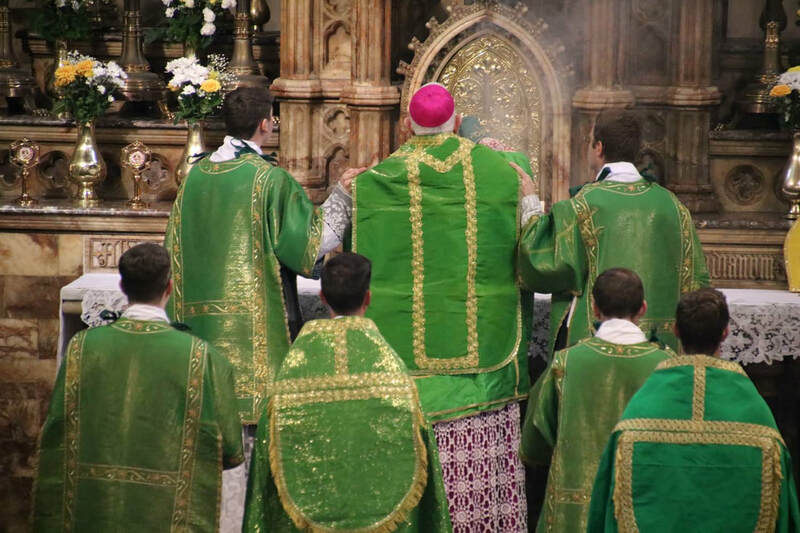 He brought his many human gifts and talents and put them at the service of the Church in his sixty years as a priest, and forty as a bishop. 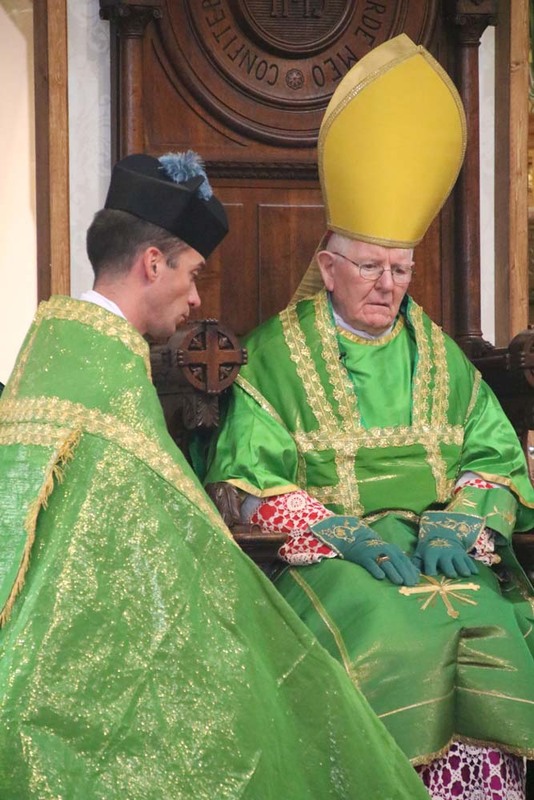 Cardinal Cormac was a big man in every sense, both physical and spiritual, but humble enough to acknowledge his faults and seek forgiveness when needed. The Catholic Church in England & Wales, and beyond, owe this great servant of the Lord and faithful priest a great debt. A great presence has gone from our midst. 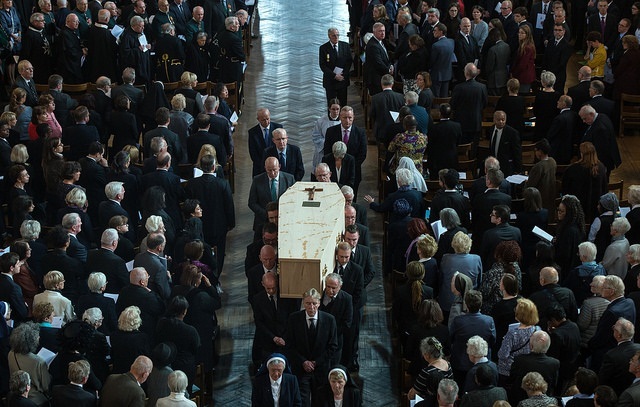 We pray that he now rests from his labours and enjoys the reward of a good and faithful servant. 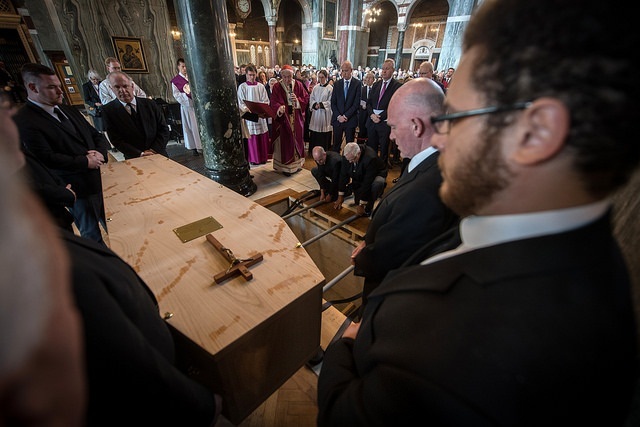 The plain coffin of the Cardinal was laid to rest beside the tenth station of the cross in the cathedral, and there his mortal remains await the glory of the resurrection. 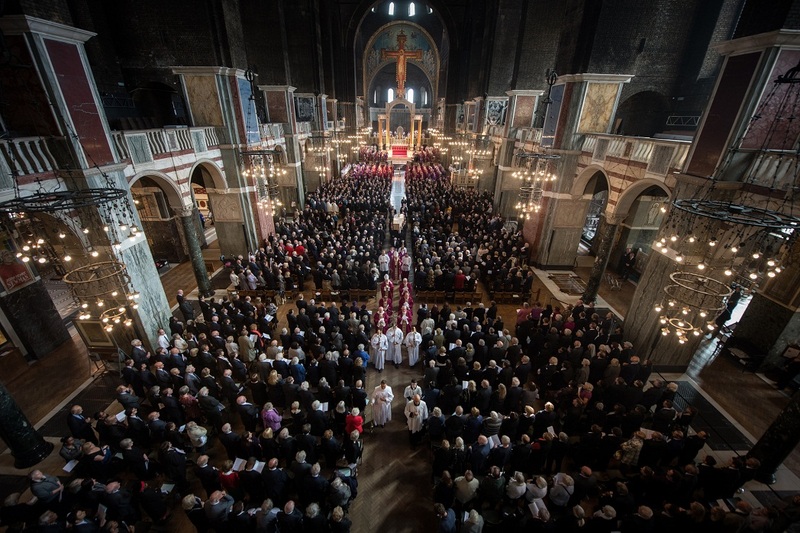 Cardinal Nichols read the final prayers of the funeral over the vault and we left Cardinal Cormac finally at home in the cathedral church where he served as Cardinal Archbishop. It was with mixed emotions that we went on our way, but grateful to God for having known and being graced by such a wonderful priest and human being. 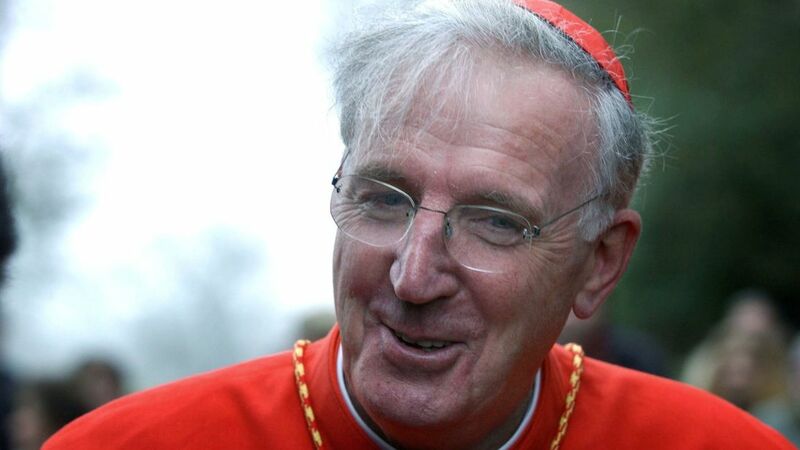 May Cardinal Cormac rest in peace!